(Courthouse News) The Montana Supreme Court invalidated the state’s tuition tax credit on Wednesday ending a program that allowed taxpayers to fund scholarships for private schools, most of which are religious-based. The Montana Department of Revenue determined the program unlawfully aided religious-based schools – a violation of Montana Constitution’s no-aid clause, they argued – and said that the money belongs to the state since the money passes through state coffers before going to schools. Parents of religious school students disagreed and sued the state agency in 2015, arguing that donors who support scholarship funds at religious schools should be able to receive a tax credit for their gifts. Parents also said the revenue department violated the free exercise clauses of the Montana and U.S. Constitutions. 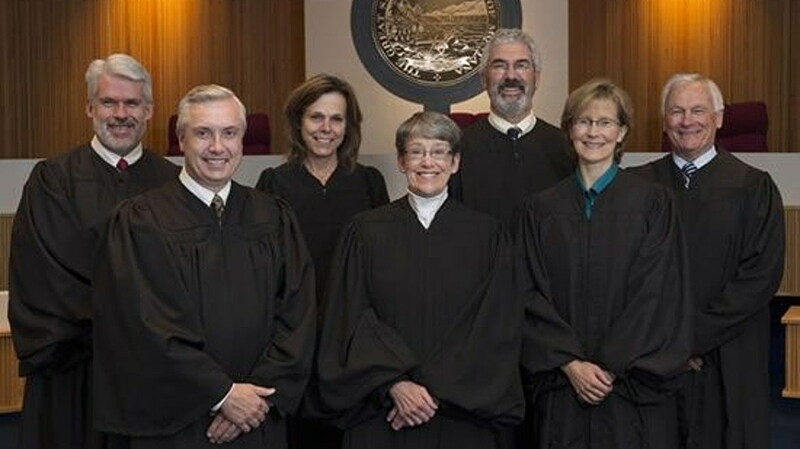 Flathead County District Court Judge Heidi Ulbricht sided with the parents, granting them summary judgment and enjoining the department from blocking the program. But the Montana Supreme Court sided with the agency on Wednesday, voting 5-2 to overturn the district court’s decision. McKinnon said Montana’s Constitution more broadly prohibits “any” state aid to sectarian schools and draws a “more stringent line than that drawn” by the U.S Constitution. The justice wrote that the transaction from taxpayer to state agency and then to private, religious-based school is “precisely” what the authors of the state constitution intended to prohibit. “When the Legislature indirectly pays general tuition payments at sectarian schools, the Legislature effectively subsidizes the sectarian school’s educational program,” McKinnon wrote. The court affirmed there is no constitutional prohibition on individual taxpayers giving money to any cause they wish. Justice Beth Baker said in the court’s dissenting opinion that the department “overstepped its executive authority” when it adopted rules that effectively killed the tax credit program. Baker said even “the Court oversteps its own authority in invalidating” the program as unconstitutional because it incorrectly interpreted the state constitution. The constitution prohibits government agencies from making payments from public funds to religious schools “indirectly,” Baker said, adding that the funds eligible for tax credits are not payment from any public funds. “The creation of the credit is a government’s determination not to collect tax revenues. The statute diverts the funds before they ever become public monies,” Baker wrote in her dissent. “This well may result in an indirect impact on the ‘public fund or monies,’ but it is not an indirect payment,” Baker wrote. Rachel Laser, president of Americans United for Separation of Church and State, hailed the court’s decision in a statement Wednesday, saying that public money shouldn’t be funneled to private schools. Laser’s group was joined by the American Civil Liberties Union of Montana, the Montana Quality Education Coalition and the Anti-Defamation League which filed court briefs in support of the state agency. William Mercer, an attorney for plaintiffs Kendra Espinoza, Jeri Ellen Anderson and Jaime Schefer – parents whose children attend a religious, private school – did not immediately respond to a request for comment Wednesday.